Where are Singapore's Casino Hotels? What's Popular in Singapore today? 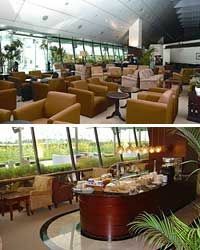 When traveling by air take advantage of Singapore Changi Airport Plaza Premium Lounge where you can relax in a clean, tranquil, cozy and spacious environment portraying a health conscious lifestyle concept. The lounge facilities come complete with a shower facility with amenities, light snacks, hot beverages and juices. A perfect place to just sit down, relax, and unwind. Explore Singapore with this 24 hour ticket aboard an open-top double-decker bus. See all the main sights as you hop on and hop off 22 conveniently located stops around the city. For a truly romantic evening take Singapore's Chinatown Trishaw Night Tour. After exploring Singapore's Chinatown and enjoying a Chinese dinner at a Chinatown restaurant, you'll take a tour with a difference by trishaw through Singapore's exciting Night Market then cruise along the Singapore River by traditional cargo boat. 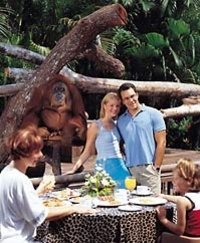 Start your day with "the old man of the forest" at the Singapore Zoo Morning Tour with optional Jungle Breakfast amongst Orangutans. Singapore Zoo has the world's most successful orangutan-breeding program, and the largest social colony of these highly intelligent primates. After your breakfast in the wild, take a tram ride around the Open Zoo, a new concept in animal-keeping featuring landscaped gardens and minimal cages. Next up, adventure forth on the Singapore Sentosa Island Afternoon Trip.You'll travel to this island haven by scenic cable car, see pink dolphins at play in the Dolphin Lagoon, visit the Underwater World oceanarium, see the “Images of Singapore” story enjoy the multi-sensory sound and light water show “Songs of the Sea”. 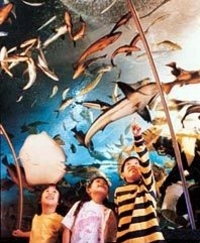 This action-packed, family-friendly afternoon tour to Sentosa Island is guaranteed to please children and adults alike.